Apart for ten minutes, the first league game of the season took place under a steady downpour, but resolute defence by the home side saw them come out on top against an Old Mods side that couldn’t produce the crucial score after totally dominating the second half. ‘Ensians started off brightly in the first half scoring four good tries through centre Luke Cowdell and a hat-trick from dangerous winger Declan Jackson. Two conversions and a penalty from fly half Kristian Keinhorst gave the hosts a 27 – 10 lead at the break, but they then had to withstand almost continuous Modernians’ pressure in the second half to hold on to a slender lead. From the start the home side carried on with their open style of rugby which saw them through as league leaders last season and good inter-passing among the backs allowed centre Luke Cowdell to scamper through the defence to score under the posts. The conversion by Kristian Keinhorst gave the hosts a 7 – 0 lead on 4 minutes. With a much bigger and heavier pack, the visitors drove upfield and landed a penalty when ‘Ensians transgressed to move the score to 7 – 3. Play was then fairly even as both sides battled to gain territory with the lively home backs regularly causing problems for the Mods’ defence. On 20 minutes centre Cowdell put winger Declan Jackson away to round his man and score halfway out. Only three minutes later Jackson again found himself with space wide out to bamboozle the defence and score near the posts, with the conversion by Keinhorst taking the score to 19 – 3. The visitors then raised their game and responded with some seriously powerful driving and offloading from their big pack to take play right up to the ‘Ensians’ line where they drove and then went over after moving the ball wide. The conversion narrowed the home lead to 19 – 10 on 28 minutes. For the home side newcomers Louis Hooper and Greg Manning in the pack and Zac Stead and Oliver Eaves in the backs showed up well as they settled in and gained in confidence. Speed off the line and sound defence kept the heavier Mods pack at bay as lively scrum half Rob Lofthouse and the home back unit continued to find holes in the visitors’ defence. Winger Ieuan Cranswick had a try disallowed before Keinhorst kicked a penalty to stretch the lead to 22 – 10. Centre Oliver Eaves then made a break and put in a carefully-weighted kick to the corner where Jackson popped up from the opposite wing to touch down wide out for his hat-trick. The conversion failed to leave ‘Ensians with a 27 – 10 lead at the break. The second half was a completely different story as the visitors’ taller and heavier pack gradually began to dominate. The home front row of Josh Dyson, Rob Lyon and Louis Hooper had been managing to hold their own in the scrums and Sam Featherstone and Greg Manning were coping well in the lineouts. As the pressure began to build, the home side found themselves defending on the line and the yellow -carding of a forward caused still more problems. Lock Toby Barltrop and tireless flankers Featherstone and Lee O’Donnell put in some telling tackles, but eventually ‘Ensians ran out of defenders as the Mods backs broke through. The conversion moved the score to 27 - 17 on 57 minutes. With a man down in the pack the hosts struggled in the scrums and worked non-stop to withstand a continuous battering from Mods as the side scented victory. On rare occasions when Mods did move the ball wide, centres Cowdell and Eaves were there to bring things to a halt. The continuous pressure eventually told as Mods went over half way out. The conversion attempt bounced off the upright to leave the score at 27 – 22 on 64 minutes. With another yellow card the home side was again down to fourteen men, but this seemed to lift their resolve to keep Modernians out as they produced an heroic display of non-stop tackling. Despite having all the possession and being camped on the home line for the last fifteen minutes, the visitors threw everything at their opponents as the penalties came their way, but they could not breach the home defence. With a rare piece of possession, the home side kicked the ball out of play to hear the relief of the final whistle as the score stood at 27 – 22 to the hosts. This was another occasion where a much heavier pack caused ‘Ensians big problems as they struggled for possession and territory throughout the second period. However, as the visitors battled away at their line in the final minutes, once more ‘Ensians’ spirit and determination saw them through to a well-deserved victory. 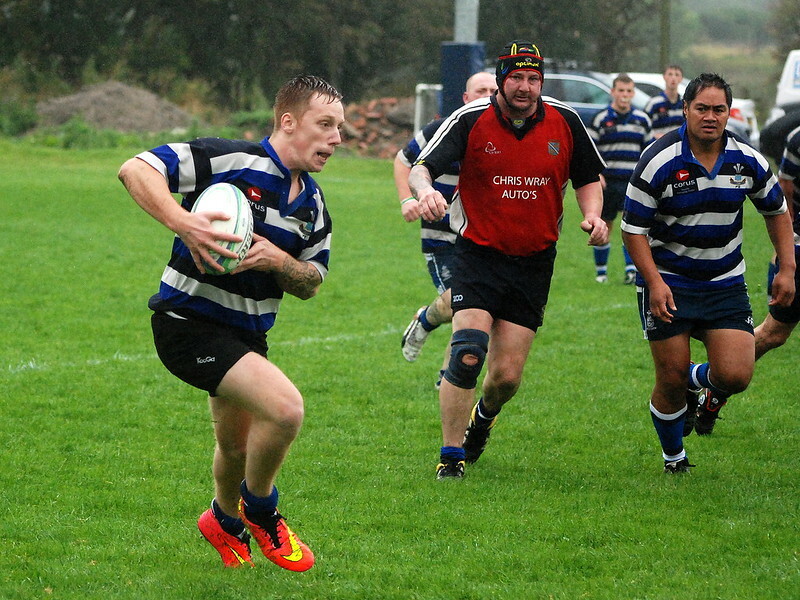 Their first match back in Yorkshire League 3 was a tough one and they can be pleased with the way they stuck at it. 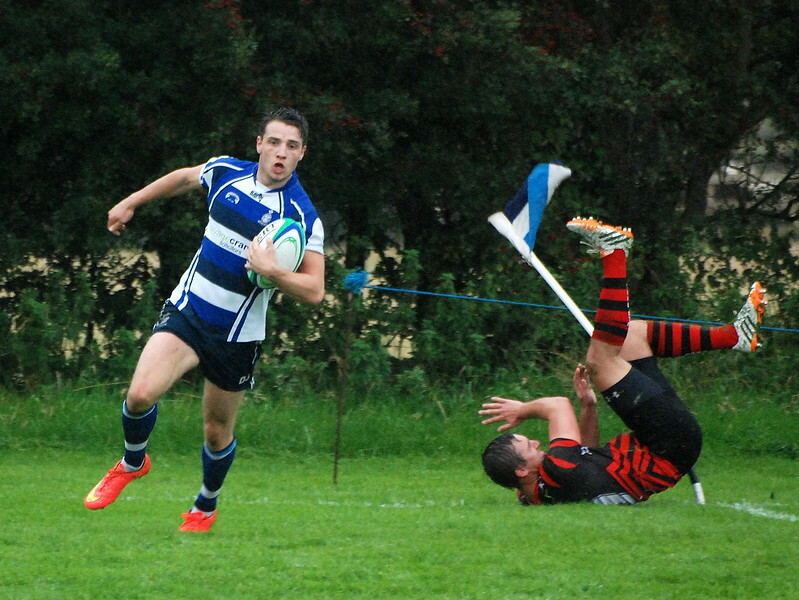 ‘Ensians 2nd XV had a 45 – 0 victory in an entertaining game against Yarnbury 4ths.